Regarded as one of Thailand’s foremost sculptors, Vipoo Srivilasa, will showcase his latest “Red-eared Slider” collection at the Subhashok The Arts Centre (SAC) from April 2 – 30, 2016. A Master’s graduate in Fine Arts & Design (ceramic) from the University of Tasmania, Vipoo currently works and lives in Melbourne, Australia. He works predominantly in ceramics, but also produces animation, works on paper and mixed media sculptures. Vipoo’s recent works underline contemporary social, political and ethical issues as well as reflect his experiences living between two homes – Australia and Thailand. The “Red-eared Slider” collection was inspired by a very common animal, the red-eared slider turtle, native to the United States and feral in countries across the globe, including Australia and Thailand, where they are known as “Japanese Turtles” because a Japanese trader first introduced them to our country. Normally kept as pets, red-eared slider turtles become aggressive and bold when owners release them into the local waterways. In fact, they are gradually becoming a threat to the native freshwater Thai turtles, competing with them for food, nests and space. Another downside is that the native turtles have no immunity to parasites and diseases carried by the red-eared sliders. All these factors have resulted in disrupting the natural ecology, and, in turn, affects our water quality, and because these turtles can live for a long time, they pose a long-term threat. Thus, Vipoo believes that the red-eared slider turtle is the best symbol to represent the disregard humans have for their environment as well as issues of cultural identity and alienation, which pose difficult problems for our society to resolve. This is most evident in Vipoo’s choice to communicate through body language in lieu of adding mouths to his figures. The images dialogue through their composition and relationship to their space, invoking social commentary and ideas through the clay. His dynamic balance of astute social observation and personal imagination distinguishes his work in contemporary ceramics. 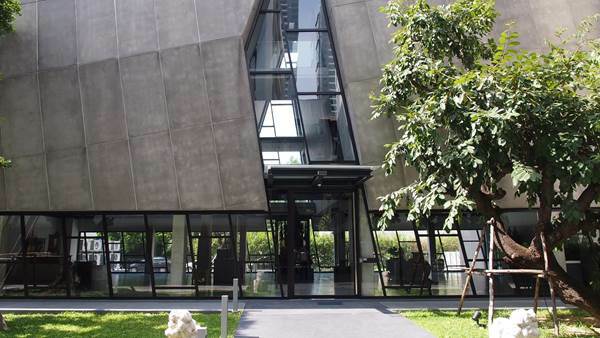 All art enthusiasts and lovers are invited to the exhibition’s opening party on April 2, 2016 at the Subhashok The Arts Centre from 6:00 p.m.
Subhashok The Arts Centre is located at 160/3 Sukhumvit Soi 39, and is open Tuesdays - Saturdays from 10:00 a.m. – 5:30 p.m., and on Sundays from Noon – 6:00 p.m.